To arrange your next event, give us a call at 618-614-2251. Rustic charm awaits you at The Old Feed Store! 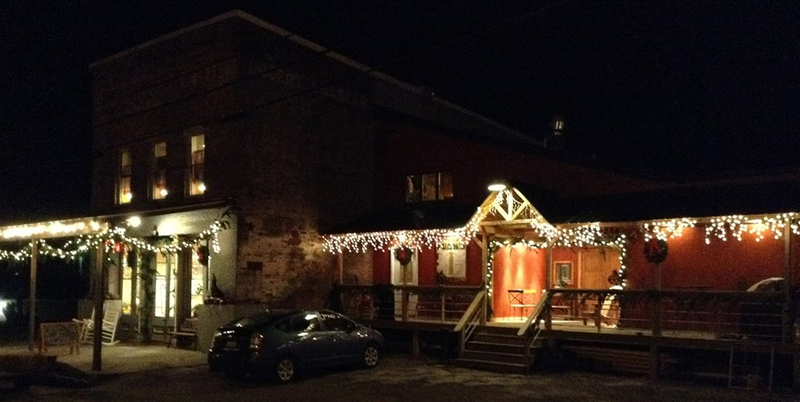 The Old Feed Store is host to live music, serves as an event venue, and is host to several community events during the year, including Sunday Farmer’s Markets. The Old Feed Store has gained the reputation of being the area’s premier listening room. It is located on the Shawnee Hills Wine Trail in Cobden Illinois. Blending historic preservation with modern conveniences, we’re ready for your next gathering or event! The venue is available for bridal and baby showers, private parties, business functions, class reunions, proms, weddings/receptions, and more. The Old Feed Store can be customized to meet your needs. We offer custom in-house catering to ensure your event is memorable and exceptional. Our staff is ready to prioritize your needs. Space is also available for civic groups, art and music classes, etc. Special pricing considerations for civic and not-for-profit events and organizations. Please inquire about rates for re-occurring meetings and events. To arrange your next event, text or give us a call at 618-614-2251. The Old Feed Store is on facebook…please “like” us!